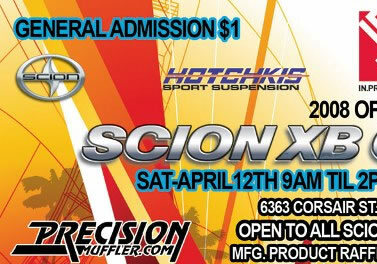 IPCW will be hosting an Open House / Scion Car Show here at out Commerce warehouse facility Saturday April 12th, 2008. 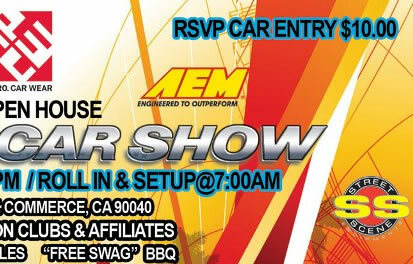 The Car Show portion of this event will be by RSVP only and will cost $10. General Admission for the event will be $1. 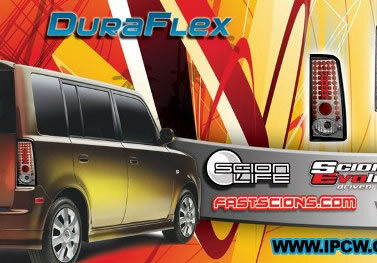 All Scion Clubs, Affiliates and Owners are welcome and the event will be open to Xb, tC and xA vehicles. 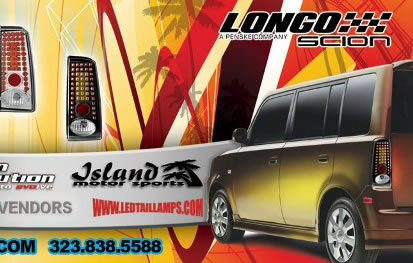 A "Swag Bag" will be passed out to the Car Show entries, and Raffles will be Held to win Manufactures Products as well. We will also be presenting Trophies to the winners of each class at the conclusion of the Show. Our Open House will offer IPCW a chance to introduce ourselves and our products. In cooperation with our Co-Sponsors, there will be product for sale through our Vendors as well as IPCW and will offer generous discounts on this day. There will food and drinks offered but absolutely "NO Alcohol" of any kind will be tolerated. If you would like to participate in the Car Show, please fill out the Official Entry Form and either e-mail it or Fax it back to (John) IPCW and you will be notified upon payment receipt.